Happy Birthday, Elvis! Celebrate the King’s birthday today by making his amazing Peanut Butter and Fried Banana Sandwich withBacon Recipe. The blackberries are my addition, call it my present to the King. I’ve always heard of Elvis’ love for fried banana sandwiches but, I have never actually had one. So, I did a little research to see what a fried banana sandwich is all about. Let’s just say they don’t call him The King for nothing. The sandwich is all melted, warm peanut butter, salty bacon and a little hint of banana between two crispy slices of bread. To be truthful, I never saw a mention of blackberries. But, I checked on the internet to make sure blackberries grow in Mississippi. Besides, I can’t get the image of a little barefoot boy running down the dirt road leading home with his fists full of blackberries and the evidence of the ones he couldn’t carry staining his cheeks. First, resist the urge of “more is more.” My first sandwich was so filled with peanut butter that it oozed out of the sandwich and into the pan after melting. It was delicious but, I found myself licking my fingers more than actually chewing. Too much blackberry jam will over take the bananas. Second, frying the bananas in the leftover bacon fat has the unexpected effect of “mellowing” out the banana flavor. I was surprised by this. I thought that cooking the bananas would concentrate the flavor. Be sure to cut them thicker that 1/4 inch and use as many slices as you would like. And, if you have bananas that are on the “green side,” all the better. Last, I thought the sandwich could use a little acidity. I had some blackberries in the fridge so I cooked them with a little sugar and lemon juice. Just cook them long enough to get them hot, really, and they will give up their juice when you smash them with a fork. I left mine very lumpy and rustic with a rather tart flavor. You can use a blackberry jam that is more tart than sweet to save time, if you’d like. Keep in touch by following us on Twitter or “Like” us on Facebook. We love hearing from you! I've done my homework to recreate Elvis' famous Peanut Butter and Fried Banana Sandwich. Make these delicious sandwiches for your family and friends while you spin his 45's for a really fun time. Cook the bacon in a medium sized frying or saute pan. Drain on paper towels. Meanwhile, place the blackberries, sugar and lemon juice in a small pot and cook over medium heat until the berries give off their juice when mashed with a fork and sugar is dissolved. Stir and cook to desired thickness. Or, use a tart blackberry jam. Slice the bananas crosswise into 2 to 3 inch segments and then lengthwise into slices a little thicker than ¼ inch. Dust the bananas with flour and fry in the bacon fat remaining in the saute pan until golden brown. Butter one side of each slice of bread. Spread 2 tablespoons of peanut butter on the other side of 4 of the slices. 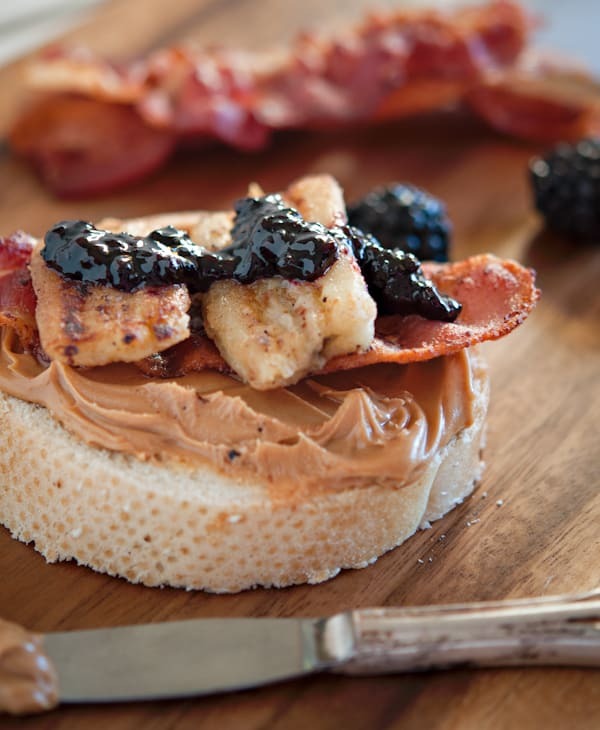 Layer bacon, bananas and 1 tablespoon of blackberry jam on top of the peanut butter. Top with the other slice of buttered bread with the butter facing out. Wipe out the saute pan and grill the sandwiches until golden brown. Serve the sandwiches warm from the pan. Beee-oootiful – I’m “All Shook Up”! Just changed my dinner plans! My favorite sandwich in the world is peanut butter, honey and banana! This looks fantastic and a wonderful play on my favorite sandwich. Plus to celebrate the king is just a bonus! Thanks for sharing!! Alexys, Trust me, try this sandwich. It w\is fit for a king. In listening Monday to an NPR segment about Chef Sean Brock’s Peanut Butter, Banana and Bacon Milkshake, I was inspired to do a post of my own. While researching and writing, I came across your post above. Kudos to you for writing the nicest story about, providing the best recipe for, and supplying the loveliest photographs of the famous Elvis sandwich. Great job! I hope you don’t mind, but I included a link in my post to yours. 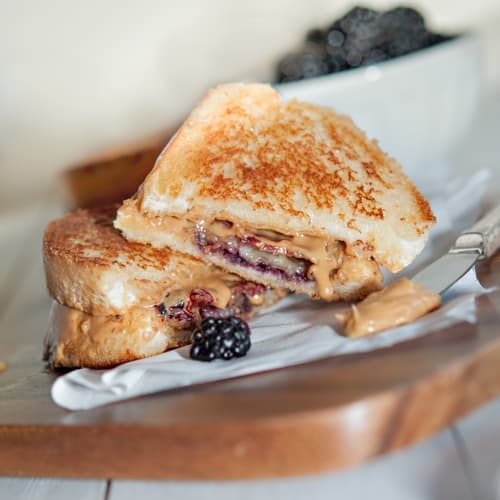 I’ve Been Searching For A Perfect Elvis Sandwich ReCipe All Day! had one of these (minus the fruit) at the Heartbreak Hotel in Graceland and it was the best and the best place to eat one!!!! !thanks for the recipe!! Ugh, I don’t love peanut butter in any form (OMG, did I just say that out loud?! ), but am tickled at your recent notoriety with this sandwich. WSJ and BA know a good blog when they see one. Congrats. This is the most fun sandwich EVER. 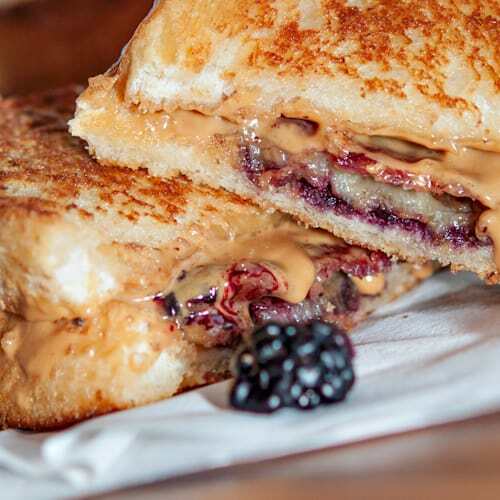 The blackberries really make the sandwich! Oh my gosh, were these fried banana sandwiches delicious! I’m so glad you spent the time to hunt down the authentic recipe and then share it here on your blog. I’d always heard that Elvis liked peanut butter and banana sandwiches, but I’d never tried one until today. I used thick-cut crispy bacon, mmmm… and blueberry jam rather than blackberry simply because it’s what I already had on hand. 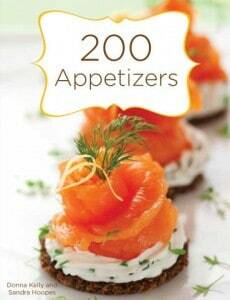 And yes, I’m now hooked on this recipe! So darn good. I couldn’t believe how much I liked this sandwich. As a fan of Elvis growing up thanks to my parents I always wondered what it would taste like and finding this recipe meant that I could actually try it.